Head for the hills and bring your friends! Invite everyone to your next event with the San Francisco Color Invitation. 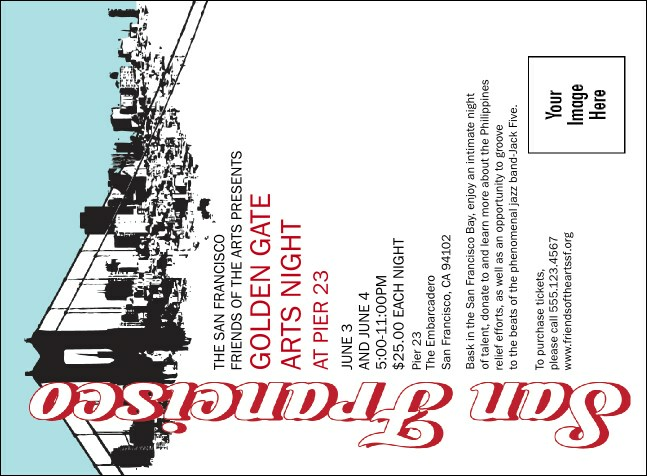 This invitation template is just a little topsy-turvy, with the skyline drawn right side up and upside down on the border, and an stencil of a cable car in front of the Golden Gate Bridge. With room for all your details and a matching Event Kit. From high culture to counterculture, TicketPrinting.com has a design for you!